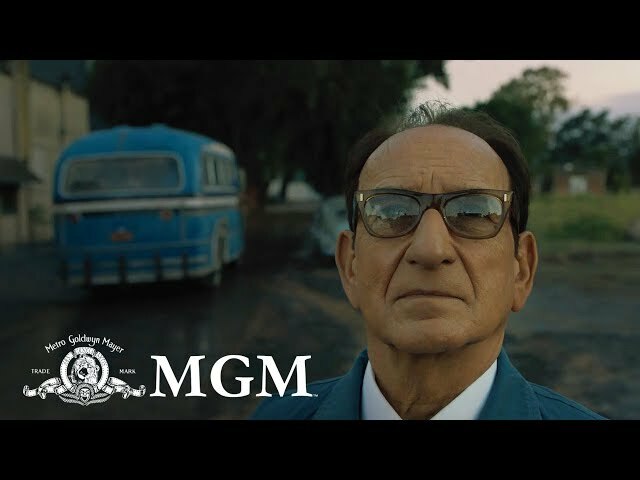 Operation Finale (film, 2018). A 2018 American historical drama film with "PG-13" rating by Metro-Goldwyn-Mayer (United States)/Netflix (International)/Annapurna Pictures. Directed by Chris Weitz. Official Trailer. Operation Finale is a 2018 American historical drama film directed by Chris Weitz. 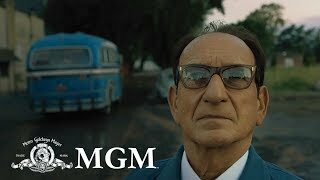 OPERATION FINALE | Final Trailer | MGM. On Christmas Eve in 1944, SS-Obersturmbannführer Adolf Eichmann (Kingsley) flees the Eastern Front to Berlin to coordinate the destruction of documents related to Department B4, going into hiding after the war ends. In Buenos Aires, Sylvia Hermann (Haley Lu Richardson) begins courting Klaus Eichmann (Joe Alwyn). Klaus meets Sylvia and her German-Jewish father, Lothar (Peter Strauss) at home. Klaus speaks of his father's service with the SS but tells Lothar that he had died on the Eastern Front, and that he has been raised by his uncle, Ricardo. Suspicious, Lothar passes this information to West German prosecutor-general Fritz Bauer. Bauer, suspecting Klaus' uncle may in fact be Adolf Eichmann, relays this intelligence to Mossad director Isser Harel (Lior Raz) in Tel Aviv, but Harel is unwilling to devote resources to investigate. At the insistence of Rafi Eitan (Nick Kroll), Harel dispatches field agent Zvi Aharoni (Michael Aronov) to Buenos Aries to begin reconnaissance. At a dinner party celebrating Argentina's 150th anniversary of independence from Spain, Klaus introduces Sylvia to Carlos Fuldner, a former Nazi officer who assisted with SS members escape to Argentina. Fuldner addresses the guests with anti-Semitic rhetoric invoking the Hitlergrüsse, leaving Sylvia visibly disturbed, who promptly leaves. Working in coordination with Mossad, Sylvia meets the Eichmann family at their home on Garibaldi Street to apologize for her earlier actions, and after an uncomfortable exchange between Klaus and his father, who introduced himself to Sylvia as Herr Klement, departs. Eichmann is subsequently photographed by Aharoni's assistant and intelligence of the exchange between Sylvia and the Eichmann family is relayed back to Israel, including information on how Klaus referred to Eichmann as "Father". 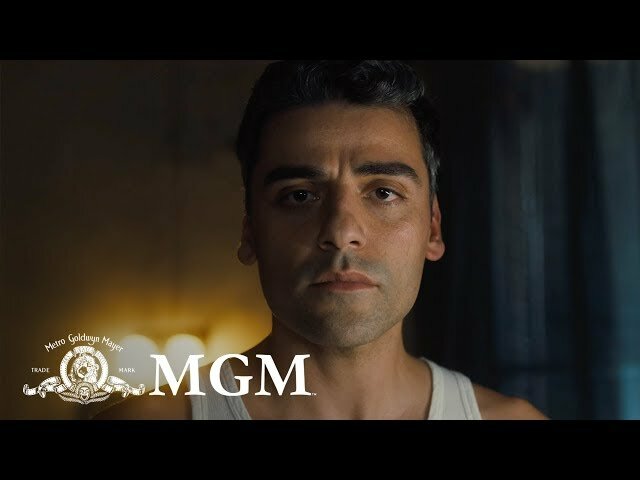 Eitan summons Mossad agent Peter Malkin (Oscar Isaac) and briefs him on the operation to capture Eichmann and to bring him to Israel, to stand trial for war crimes. Unconvinced of his ability to gather intelligence on his own, Eitan and Harel chastise Malkin for a botched capture that resulted in the death of another Nazi in Austria in 1954 that they believed to be Eichmann. Malkin persuades Harel the operation would be successful if Eichmann were captured and extracted by airplane on board an El Al flight, under the cover of a diplomatic mission during the Argentinian anniversary. Harel agrees to proceed with the operation after medical doctor Hanna (Mélanie Laurent) is convinced to join the team. After briefing on intelligence collected by Aharoni, Harel dispatches the team to Buenos Aires, who arrive on 1 May 1960. The film Operation Finale was scheduled to be released by Metro-Goldwyn-Mayer (United States), Netflix (International) and Annapurna Pictures on August 29, 2018, on September 21, 2018 (United States) and on November 18, 2018 (Germany). The duration of the film is 122 minutes. With a budget of $20 - 24 million, the film grossed over $17.6 million. Operation Finale got high rating from critics. The audience also likes the film. Audiences polled by CinemaScore gave the film an average grade of "A-" on a scale ranging from A+ to F.